Turmeric is spice that has a deep orange-yellow color and it is a staple ingredient in any South Asian or Middle Eastern kitchen. It is a very versatile spice and it is used in cooking for both its taste and its color. Turmeric is added curries, it is a starter ingredient in many Persian dishes and in South Africa it is used to add color to boiled white rice. You can find turmeric on the ingredients list of many products such as caned beverages, popcorn, cereals, biscuits and crackers, just to name a few. 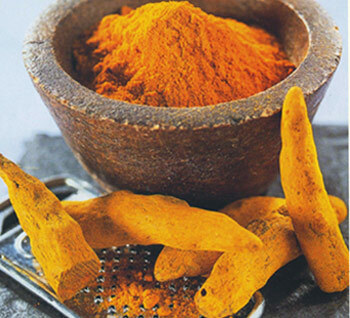 Tags: anti-cancer, anti-inflamatory, anti-oxidant, curcumin, curcumin extract, turmeric, turmeric tea | Permalink.